Here are many types of self care products often necessary with incontinence. 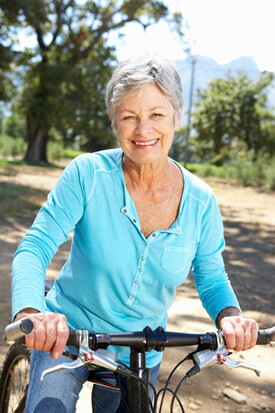 IDiaper carries incontinence self care products of all types. Find bed pads, odor eliminators, gloves, wipes and lots more. When dealing with incontinence some products really help. Supplies for incontinence, like wipes or underpads, make life a lot easier and give peace of mind. Disposable bedpads help absorb any excess leakage on the bed. Wipes clean up messes in a more sanitary way. The Disposable underpads come in a variety of sizes. Some of these underpads have “wings” so you can tuck them under the mattress to help keep them in place. These super absorbent pads are soft and help promote healthy skin while protecting the sleeping area. Incontinence self care products like these also can promote a better night’s sleep by not worrying about any leakage ruining the bedding. Some are available in smaller packaging so you can try them without having to make an investment. The odor eliminators come in scented or non-scented. They neutralize biological and air-borne odors. They can be used in nurses’ stations; kitchens, patient care rooms, offices, restroom, waiting room, storage areas, beds, garments, or trash bins. Most of the odor eliminators are available by the smaller bottle or you can order by the case for cost savings. The wipes and washcloths are available in smaller travel style, soft sided packages or tubs. Many are refillable, for a cost savings. These premoistened cloths are gentler on the skin and help eliminate odors. The Kleenex Cottonelle is even flushable. They are made of soft but incredibly strong fabric. The dispensers allow caregivers to pull a single cloth each time eliminating cross contamination of other patients. Supplies for incontinence like gloves and skin cream keep a person safe. In caring for a person with incontinence, it's good to use gloves. These medical gloves provide a barrier to contaminants. The skin cream keeps the incontinent person's skin healthy and avoids chaffing. The skin creams help protect the skin from chafing due to diaper rash and helps seal out wetness. They are available with a variety of additional “helper” aloes, lanolin or vitamins. These helpers assist in protecting and relieve damage related problems related to frequent washings such as dryness, cracks, inflammation, reddening and itchy skin. Most are available in carry along tubes which can be ordered individually or by the case. There is no need to suffer from dry, itchy skin any more. The available gloves come in a variety of styles. They come in latex-free, Latex, powdered, powder-free, textured, non-textured and so on. Most are available by the smaller quantities in a box, or by money-saving cases. Sizes go from x-small to x-large. With the variety of gloves available, iDiaper has the incontinence supplies you need. Sometimes people who take care of an incontinent person don't know how many great incontinence products are out there. Arming oneself with underpads, gloves, skin cream, odor eliminators, and wipes provides for a much easier, safer time. Call our customer service phone staff with any questions you may have. They will be happy to help you find the products to fit your requirements.